Yesterday I posted the nails I wore for Halloween, today I'll post the nails I did for my friend to match her Halloween costume. She was a cute little sailor! This is Color Craze Static Electricity, and OPI Absolutely Alice on the pinkies. 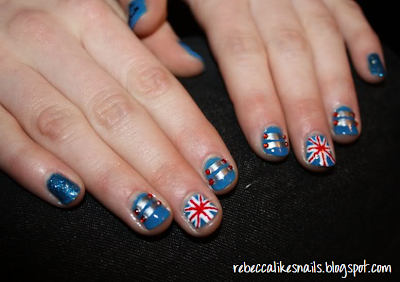 I used Xtreme Wear White On for the union jacks, with an unnamed red polish. I used an unnamed silver and rhinestones from ebay on the other nails. I loved these. A lot. 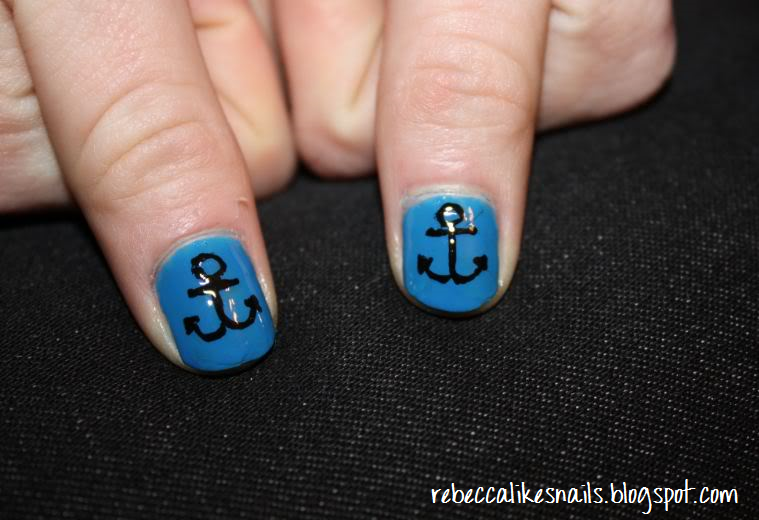 I got the inspiration for these from nails I had done myself a few months before. This picture is a more accurate representation of Static Electricity. This was one of my first nail art adventures, and it was before I had my Canon Rebel, so the quality is terrible for 2 reasons! 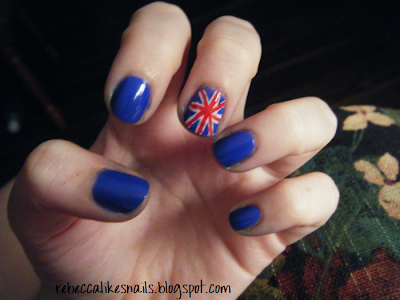 Now that I have striper brushes, the union jacks would be SO much easier. I love this! I am bored & im going through all your old posts hehe I love you blog so much!